Cosina says its new Voigtländer Macro APO-Lanthar 65mm F2 is one of the ‘finest’ lenses the brand has ever made. I haven’t used every Cosina/Voigtländer but can say for certain that from my brief user experience, this is one fine piece of glass. If you're just tuning in, the Voigtländer 65mm F2, which was first announced at CP+ 2017 along with two other primes, is a manual focus lens built specifically for Sony full frame E-mount cameras. As such, I tested it on Sony's high resolution a7R II. See our Voigtländer 65mm F2 Macro APO-Lanthar galleryEverything about how the 65mm handles screams precision and quality, from the all-metal housing to the drool-worthy matte black finish. Its electronic contacts mean the 65mm can communicate EXIF info with the camera; it also allows for peaking/magnification to be activated when the focus ring is turned. Built specifically for Sony FE cameras, I found it paired nicely with the Sony a7R II. The first thing I noticed while shooting is the long throw of the focus ring (common on macro and close-focus lenses). It turns about 300 degrees, allowing for quite a lot of focus precision. The ring itself is a little over 2 cm wide and well-indented, making it easy to grip. It also turns with a buttery smoothness that’s oh-so-satisfying. Apertures range from F2 - F22 and are well marked with click stops every third stop. The lens has a depth of field scale, with distance information listed in both feet and meters. The scale seems accurate (from my informal in-office testing), though I did not rely on it while out in the field. This is about as close as the 65mm can get to a subject. Though not a true 1:1 macro (despite having macro in its name), the 65mm offers a maximum reproduction ratio of 1:2 and a close-focus distance of 31 cm (so it can totally still be used for close-range photography). Note: when focusing at close distances, the front of the lens extends out about 4 cm. Overall, I was pleased with the images I made using the a7R II and 65mm F2. 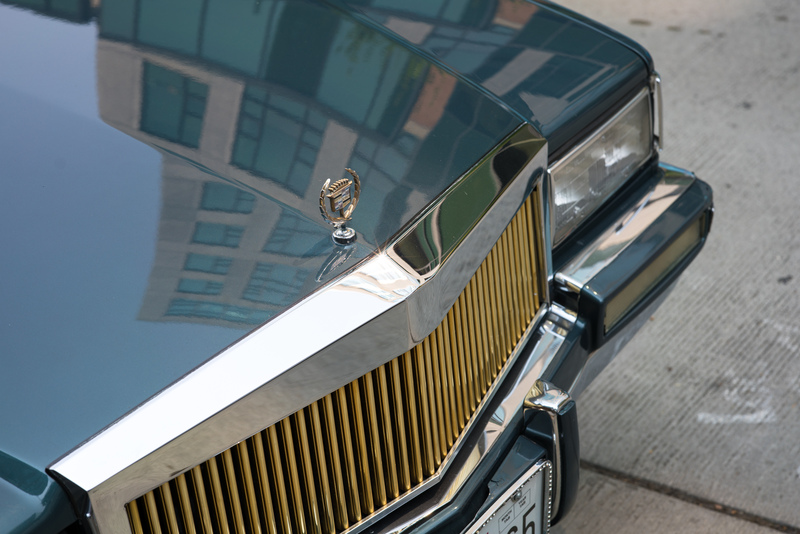 When you nail focus, even with the aperture wide open, the results are very sharp. Voigtländer promised this lens would handle chromatic aberration well and all signs point to that being the case (Note: CA corrections are left off on all the images in the gallery). However you will experience some vignetting at F2 up through about F2.8, but by F4 it is gone. This is to be expected for this style of lens. Electronic contacts on the lens allow it to communicate exif info with the camera. They also allow for focus-peaking and/or magnification to be activated when the focus ring is turned. The 65mm focal length is not for everyone though. I personally found it to be a confusing field of view, leaving me unsure whether to shoot it like a 50mm or an 85mm (two focal lengths I’m use). Manual focus lenses also aren't for all. Still, it is impossible to not appreciate something as beautiful and well-made as the Voigtländer 65mm F2 Macro APO-Lanthar. I have the lens and am finding it difficult to nail focus using peaking. The only way I am able to get proper focus from a specific point say twenty or thirty feet to infinity it to focus on infinity at 12x mag and then rely on a DOF chart to figure out what aperture to use to achieve focus on the near point to infinity. A real hassle, my Loxias are easier to nail focus also. I understand the lens is one of the sharpest lenses for e-mount along with the very sharp Batis 135 which I have. However so is the Sony 50 1.4 that has autofocus which is often needed at this focal length not everything is a stationary situation. I am also having trouble with where a 65mm fits in I have so many lenses 50 1.4, 24-70, 70-200, 85GM, 85 Batis, 90 Macro and other than being super sharp on a an item you can take the time to nail focus on am struggling with why I would keep it. I can crop the legendary 50 1.4 to 65 and it MF very well much easier than the Voightlander. Hard stop beyond infinity - way better than not being able to go to infinity. A small reserve at this end of the focusing range usually means that you get to focus to infinity whatever the environmental temperature. The photos posted here do look very good, contrary to what some other commentators have said. The colours do seem to have a different quality when compared to Sony and Zeiss; to be more specific, it reminds me of the distinction between photos shot with Ektachrome (versus those one might have got from certain types of Fujifilm). is this something that Cosina/Voigtlander lenses are known for? We'll never know while DPR persists in using Adobe for Sony RAW. How to make a Sony look like a Canon with one click. for a more real-world idea of the colours ? "(two focal lengths I'm used to) is correct. 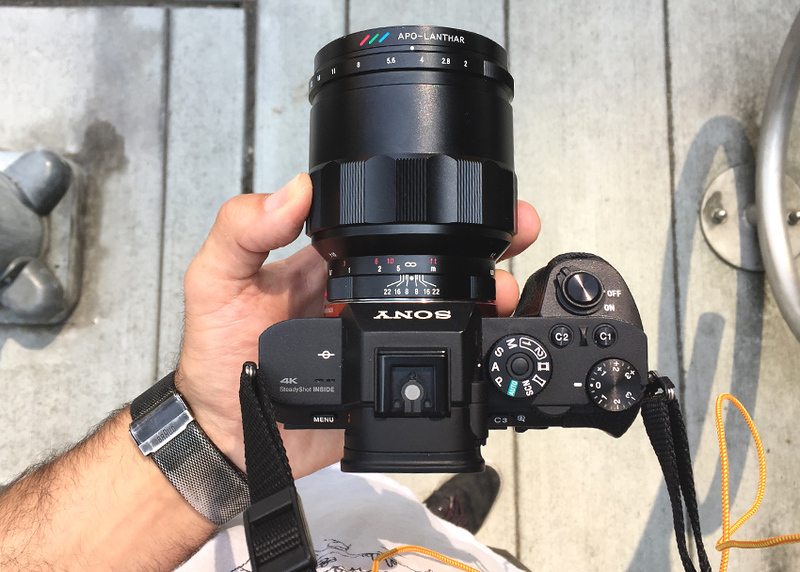 With Sony's current line-up of FF E-mount lenses, this one actually looks compact. Can you please mention which lenses you're referring to? This lens isn't compact at all compared to other fe lenses in the same focal range and aperture. The fe 55 1.8 with autofocus is significantly lighter and shorter. The fe 85 1.8 is also more compact and almost half the weight (82mm/371g vs. 91mm/626g). No clue what you're comparing this to but it must be some zoom or ultra-fast prime (1.4 or faster) which aren't at all similar. Oh well. I guess It seems no one else thought your subtle joke was funny either though since the only like your got was your own. "Focus ring hard stop at infinity end is beyond infinity"
Albert Einstein would love that comment. So, it goes to "Infinity and Beyond!" "But this one goes to 11"
"110, 220, whatever it takes." "All your infinity are belong to us"
Any impressions on Bokeh? Yep, I know, Bokeh is subjective, samples are here, judge yourself, etc... But I would like to read DPR comment. At first look, Bokeh is not exactly very smooth. Just MHO. Bokeh looks very nice to me. You have to consider the focal length and max aperture - 65mm f2. This isn't going to be smooth like 35mm 1.4. Probably because you cannot just extend the lens further without noticeably losing IQ, given the fast aperture. The result after the tube extension might be so out of the optimal range that the lens designer refuses to be held responsible for it. So you may add your own tube and you are responsible for what you get. If they provided one they'd be responsible. Very faithful colour reproduction. So nice and pleasing. Are these edited to taste? 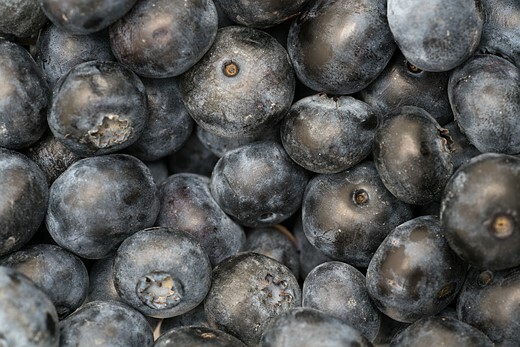 Are these edited to taste blueberries ? I would expect a set of sample images for a macro lens to have a lot more macro images than shots of buildings and construction sites, but maybe I'm just narrow minded. I maybe the next review of a 300mm F/4 lens might have more macro shot samples than race cars and birds I suppose. Perhaps there's a trend I'm missing. Are lens test assignments handed out as punishment? A cat photo? Well, you don't see many of those I guess. If you had a tight shot of a cat's eye, I'd get it, but I'm starting to think the quality of coverage on this site is ahhhh...lacking. Put a little effort into utilizing the headline feature of the lens, huh? This lens is well-suited for close-up photography but is not a true macro (despite its marketed name) as the maximum reproduction ratio is 1:2 not 1:1. That said, there are numerous examples in this gallery shot at or near the lens' maximum close focus distance of 31 cm. With it being F2 and 1:2 its obvious that this is meant for portraits as much as macro. The "headline feature" of the lens is at least as much its f/2 aperture and apochromatic design - a rare combination - as its 1:2 macro capabilities. Maybe if you had actually read the article alphaloki? Voigtlander calls it a Macro lens, I didn't name the lens for them. If they called it the APO Macro Portrait Deluxe, then maybe it would make more sense to me. I'm not saying you shouldn't use a Macro lens for other photography either. What I was/am saying is - if they call it a Macro, and we believe they meant it to be used as a macro, then the samples gallery was lacking in quantity of actual macro shots. At least Dan responded on point. But it's not unreasonable to expect to see a macro tilt to the shot count. If you discover it's a hidden gem for portraits, terrific, shoot some portraits too. If you guys think this collection is inspired, great. I found the collection looked like shots I'd expect to get if the shooter wasn't very enthusiastic about this particular lens. Maybe it's just me. I don't claim to be the "One True Judge" of photo collections. For me they're uninspired, that's all. I have no personal animus against the photographer either, but I bet he can do better. Or, alternatively, Macro is merely another feature. A shorthand way to describe a lens that can do 0.5-1x magnification. Sort of like "Sigma 180mm f/2.8 APO Macro EX DG OS" or "Sigma 105mm f/2.8 EX DG OS HSM Macro" or "Tamron 70-200mm f/2.8 Di LD (IF) Macro AF"
All the gobblegook means something, if you care to learn it. with sensors of 36mp and above being common, a hard-stop past infinity is a necessity, not a mistake. Yes, there's too much tolerance in camera lens mounts these days (literally) to make a lens that cannot focus at least a tiny bit past infinity. And the difference between hot and cold -aluminum has a fairly large coefficient of expansion. 'Typical' APO-Lanthar, tack sharp. Would be a perfect standard lens for the GFX if it covers it. Now bring on a renewed 180/4 in E-mount. "... screams precision and quality, from the all-metal housing to the drool-worthy matte black finish"
Like your average Takumar of yore then . As a 35mm Shooter, 65-70mm is a great telephoto length as I find 50mm a too tight for most shooting, and an 85mm a bit to tight for telephoto shooting. Please please please release a 35mm F2 in this same vein, 1:4 magnification would be perfect for it! I could finally ditch nearly all my legacy glass! Voigtländer 35mm F1,7 Ultron focuses down to 0.5m and is one of the finest 35mm prime lenses out there. I'm very aware of the 35mm F1.7, it's strengths and it's inherent weaknesses not being designed for Sony's cameras. Also, for it to have 1:4 magnification it needs to focus down to 0.5 feet, not meters. It's a good lens, but it and the Loxia 35mm seem like crummy compromises as the 35mm F2~ish lenses that everyone seems to want. When it comes to manual prime lenses I follow and trust Phillip Reeves site. They compared a couple of different 35mm lenses in the past and the Ultron and Loxia get very good reviews. I think there are only very very few options better those 2 in the market. 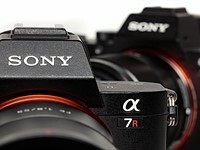 The Zeiss 35mm F2.0 Sonnar is glued to the RX1(R)(II). An Leica 35mm Summilux might cost you an arm and the Summicron asph. might not beat the Ultron. 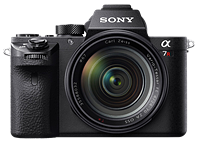 If the Loxia was anywhere near as good as the Sonar glued to the RX1(II) I would have already bought it, but it's not. I dont know if you've noticed, but pretty much every other 35mm F1.4~2 in the entire market is better than the loxia or the Viogtlander F1.7. It is the sole reason why Sony users beg for an autofocus 35mm F2 lens that isn't the size of an F4 zoom lens. So.. I can't get a simple answer to whether this is mostly distortion free like typical macro lens or it's bad as Sony FE 50mm 2.8? Can you at least tell me whether its pincushion or barrel? I've seen the sample images but it's not really easy to tell. To my understanding you don't need electronic contacts to get magnification or focus peaking when using foreign glass. Is this a Sony specicality? What do I not get? You are correct, you don't need contacts for focus peaking or focus zoom. The contacts however might allow "focus assist" where focus zoom is engaged automatically when you start to twist the focus ring instead of requiring you to press a button. That said, I hate focus assist and always map a button for when I want to focus zoom. I don't think automatic focus assist is really needed. I personally find it distracting. However, being able to see aperture number in viewfinder might actually make it easier to use the lens as you won't constantly have to take your eyes off the finder to check the lens. It's shocking how much better this lens is than most of the lenses they post galleries for. I can't remember when I've seen better.... Certainly not recently. Thank you Dan! So, there's still some (minor) LoCA wide open.. It's not as "LoCA-free" as the 125mm. That was my main concern. At least it helps to hold my G.A.S. I still would like to see how it compares to Panar/Milvus 50mm f/2M and to the Zony 55mm 1.8 in this regard tho. Because the overall performance is very high. And I still see it as an excellent option for those who enjoy precise MF control (like myself). I had two of the Voigtlander 90mm, 3.5 APO Lanthars. Each was very good, but neither were true APOs. The cat reminds me of our Willy, and he was truly excellent. Use the free "only for Sony" version of Capture One. The standard colors are better than Adobe's. If you use Sony's RAW + white balance its not too bad. I use Capture One and the results are pretty good. Others say Capture One is more compatible with Sony colors than Adobe products. I wonder whether Adobe will have a "fix" for Sony users. Probably Canon and Nikon sensor RGB are slightly different from Sony's. Would imagine Sony's own computer software would give better colors than Adobe, but manufacturer's software (in general) is not very user friendly. I thought that all lenses focus past infinity to accommodate the components expanding during extremes of heat. Or is this something different? I think not every brand think about that. Voigtlander always does. @MrBrightSide Agreed. The MF lenses I have seen either puts the hard stop past the mark, or the mark itself is past infinity for exactly the temperature reason you mentioned. Yes, it's perfectly normal for large metal lenses. My L-series FD telephoto lenses are the same. @osv I don't think that article applies here. My Helios 44-M was built in the heyday of MF lenses and there was no such thing as AF and its hard stop infinity marking is actually focusing past infinity which is the issue here. Photographers got intimate with their lenses and where actual infinity was relative to the markings on the lens. The introduction of AF did not cause this phenomena. @techjedi - if a legacy manual focus lens, that was designed for film, didn't hit infinity focus correctly, it's because it was out of adjustment... that's a well-known problem even for later mf lenses, like the korean 14mm lenses. the reason that you need a hard stop infinity focus with an ovf camera is because you can't accurately focus at long distances... evf with magnification solved that problem, hence no need for infinity hard stop... my fe90 for example, just spins forever when manually focusing. @osv That isn't my understanding. I have heard from many photographers that metal bodied film MF lenses regularly would focus past infinity at the hard stop because taking the lens to extreme temperature differences would affect where infinity actually was. You aren't going to calibrate when you are on a snowy mountaintop, etc. Perhaps a lot of people are just wrong if this isn't true because I have heard it almost universally regarding older lenses. Night/astro photographers would visit the scene during the day, figure out perfect infinity, then mark the body of the lens and come back at night. The temperature swing between that measurement wouldn't be large enough to affect the marking. The FE90 is a little of a strange beast since it has markings that are electronically enforced when you slide the focus ring from AF to MF. I haven't tested how accurate those markings are. @techjedi - "In the old days, all we had to do to focus at infinity for astrophotography or distant landscapes was to set our lens' focus scale at infinity. All lenses had focus scales, and they had hard mechanical stops exactly at infinity, so it was trivial to set them there, even in total darkness." "The bottom line is that it is awfully hard to focus a lens manually through the OVF to the precision required for peak lens performance, let alone do so consistently with a variety of subjects in varied lighting. As shown below, all three attempts to focus by eye under ideal target and lighting conditions through the Nikon D810 optical viewfinder resulted in unacceptable focus." @osv I know OVFs are hard to focus in low light. I am not disputing that and I agree with you. I know that having a physical mark would be helpful with OVFs in darkness situations. The whole point of this comment stream is that this lens' infinity mark hard stop is beyond infinity and this was common with at least some MF lenses in the film days. A common explanation is an allowance for shifts in focus distance based on extreme temperature changes. So in a darkness situation with an OVF, a photographer would, during the day, get intimate with where actual infinity was on the lens near the marking and then make a mental note, or mark the lens body so that in darkness they could use the marking, etc. Regarding the Ken Rockwell quote, well that is Ken Rockwell and I wont demean him, but I certainly don't think he speaks for most photographers. I could be wrong on that. Perhaps film was simply less demanding, so just eyeballing the infinity mark was good enough for some people like Ken. I have quite the collection of old manual lenses and they all have hard stops at infinity so it was a thing. Even accounting for tempreature variations you were usually stopping down when focusing to infinity (why would you need to shoot wide open?) so small deviations were not a problem. All lenses have a mechanism to adjust this internally and could be set to focus way past infinity if you wanted (I have done that with a few old Lecia due to trouble with adapters). These days I would agree with leaving some wiggle room especially as newer lenses can be sharp corner to corner wide open. yes, there is little question that legacy glass used hard infinity stops, because there is no possible way to focus accurately with an ovf, even with the lens wide open, in bright daylight. we got away with hard stops at infinity because 35mm film is pure slop, with an effective resolution of about 8mp. @osv Again, the issue is not that there are not hard stops at infinity on new or old MF lenses. The issue is that the hard stop is at a point where the lens focuses past infinity, so the user must twist back a fraction or so from the hard stop to find where the particular lens's actual infinity was. Further, sometimes the hard stop is physically beyond the carved marking and sometimes it is right on the marking. @techjedi - again, as zdman just told you, and as ken rockwell told you, and as i told you, legacy lenses have hard infinity focus stops, and they were used for exactly that purpose. the fact that they might have been off a fraction from infinity is irrelevant to the purpose for which the infinity hard stop was designed. this has nothing to do with how new lenses work, stop confusing the issue with that, i already clarified it with the b&h link. @osv I am really unclear why you even responded to my first post then? I always said the hard stops exist. I always said they were used to measure infinity for photographers. My point was directly related to the comment in this article about the complaint that the hard stop itself did not exactly correlate to the actual infinity point, but just beyond it. I presented some beliefs commonly shared as to why this is common in legacy lenses. You have consistently been restating points that I am not disputing. I have used multiple legacy MF lenses. They have infinity markings and hard stops at the marking. None of them accurately focus at infinity at the hard stop. The hard stop is always just beyond infinity. As a photographer, I either get intimate where the actual infinity is relative to the marking, or I calibrate it. That said, sometime temperature changes can require different calibration. @techjedi - why are you having these reading comprehension problems... YOU started this exchange, by first responding to a post that i made, that was clearly directed at the comment that brightside made about focusing past infinity... my comment there had nothing to do with what you said. in your response to me, you stupidly tried to claim that the b&h article didn't apply to the brightside observation about a brand new lens, because your example of a legacy prime wasn't properly set at the correct infinity focus point... guess what, the b&h article was about modern lenses, NOT your legacy glass... you've been off-topic from the start. beyond that... wrt legacy glass, the hard stop was NOT designed to be "always beyond infinity", as i told you, as ken rockwell told you, and as zdman told you... how legacy glass behaves on adapters does NOT reflect the infinity focus settings when the legacy lens is on a film body, because adapters are always slightly shorter. @osv With respect, your b&h article is about how infinity marks are not present on new lenses due to AF. It has absolutely nothing to do with this comment stream. This comment stream is about fully MF lenses with hard stops and infinity marks where the infinity mark isn't accurate. When you posted that link, I correctly stated that it had nothing to do with this. Why do you keep bringing up an article about AF lenses and how infinity marks are disappearing from modern lenses? I am not talking about that. I am referring to the "cons" section of this article where the hard stop and infinity mark don't accurately reflect infinity. You are the one bringing in modern lenses for some strange reason. This is a fully manual focus lens built very similarly to legacy lenses, so the legacy comparisons are what matter here, not some article about modern lenses without marks. You're both right. @techjedi I know your experience is that your older lenses focus past infinity but this is most likely because of your adapters are out of tolerance (a far more common problem) than the actual lens. The other issue is that there is confusion over the point that they all stop at the infinity marking (which they all do but again can be adusted) and at actual be at infinity focus. The fact is that old manual lenses did not have play past infinity (both marked and actual) by design as there was little need to accomidate thermal expansion. If it was out it had to be adjusted by the manufacturer. These days it makes sense to build in some slack because high res sensors are far more sensitive and thermal expansion and it will make a difference, so Dpreview shouldn't be complaining. However it should still line up with the inifity marking at normal tempreatures. @techjedi - you obviously haven't read the the b&h article, because it clearly agrees with everything that we have told you: "One of the traditional hallmarks of a high-quality manual-focus lens was that the focus ring would stop precisely at the ∞ mark. This allowed photographers to set their lenses quickly so that everything past a known distance would be in focus." ken rockwell told you that, i told you that, and zdman told you that... you are wrong. this thread we are posting in is about a brand new lens, not the legacy lenses that YOU keep bringing up. the article covers new mf and af lenses, for example: "Leica's lenses have always been known for their mechanical precision and great tactile feel when it comes to focus, zoom, and aperture adjustments. Today, the Leica M lenses still feature a hard stop at the ∞ mark." "Grab a Pentax lens off the shelf at B&H and you will see that even the autofocus zoom lenses have a hard stop precisely at the ∞ mark." @osv zdman just said we were both right. Ken Rockwell is not a trusted source and he didn't tell me anything. I am just going to move on from this discussion because I don't think we will come to any consensus. Take care. "two focal lengths I’m use)." Not really sure what would be the value of a F2 aperture on such a macro lens. If it was for a DSLR it would make more sense as it would enable a brighter viewfinder image, but on a mirrorless the EVF would auto adjust to give a bright viewfinder. Depth of field at macro distances is so small that F2 would be pretty useless. People wanting F2 or wder on a mid-focal length lens would be more likely to go for a 50mm or 85mm optic. For macro, 65mm is a weird no-mans-land focal length but I guess that Cosina realise that the popular 50-60mm and 90-150mm foal lengths, are already extremely well catered for by Nikon, Canon, Sony, Sigma, Tamron etc. might make it somewhat easier to get critical focus? You would need to close down for exposure of course, which would be a bit annoying..
Silly, EVF can be adjusted not to autoadjust brightness. I guess you have no clue of how to use mirrorless cameras. Obviously mirrorless cameras can be set to NOT auto-adjust brightness. The point which I was making, as everyone else who read it apart from you probably realised, is that *IF* Cosina had made this lens in DSLR fittings, the DSLR viewfinders would be able to match the brightness of a mirrorless that was on its default auto-adjust setting. This is portrait lens, “macro” in this case just means that you can close focus for detail shots. Checat - not so sure I agree with you there. For portraits, 85-100mm is generally regarded as much more useful, or a wide angle for "in context with surroundings" portraits. I think "sykkys" (below) is closer to the mark when he suggests it would be useful (mounted on a tripod or copy stand) for photographing documents or artworks. You can use 65mm for portraits, environmental portraits, full body portraits, group photos, landscapes, details, repro/copy, pretty much anything if you wanted to. f/2.0 is nicer than the f/2.8 of the usual SLR 60mm f/2.8 macros. Any more questions? Weird no-mans-land? Wasn't 60mm always a popular focal length for macro lenses on film (I remember reading somewhere that it was ideal for copy stand macro work, but the camera companies these days seem not to realize that nobody shoots that way anymore -- probably Thom Hogan who said that)? @entoman: Once again you have made your point a lot more muddier than an average person would. I guess photography is not your thing hence you are getting boggled down in technicalities. Couldn't find something easier to Do? Things like chopping onion in Indian restaurants? kaka12moto - I've sold 2000 images to book publishers in the last 18 months, have you? I've heard some people actually prefer 60mm for hard-core macro. Maybe it has t o do with DoF, but I wouldn't know since it's not my area of expertise. In my case, I need the most distortion free, sharp, boring lens and neither 50mm(slightly exaggerated perspective when close to the subject) or 90~105mm (too compressed, shallow DoF) can really replace it. It makes the most natural looking images which most people find rather, well boring. I guess these are no longer made because distortion can be mostly digitally corrected and you could do documentation work with just about any zoom lens these days. But there is nothing truly like the optically distortion-corrected lens in actual use. I agree. Even f2.8 or f4 are often way too wide for macro work and it never made sense to me why mirrorless macro lenses have such wide apertures. People who have the money to drop on such a speciality lens usually already own dedicated normal and portrait lenses. Sezano - I'd love to tell you, but if I did, I would lose my forum anonymity, so it's entirely up to you whether you believe me or not. 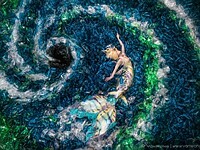 What I can reveal is that the vast majority of my published images are macro images, hence my comments on this thread. Thanks for the helpful review, apologies but using a camera with EVF surely shouldn't need to be surprised or confused with FOV of 65mm lens compared to 50 or 85? What you see is what you get. I use several Voigtländer lens, 12mm VM, 35mm VM and a 15mm Sony E-mount all are really high quality with the newer 15mm having an outstanding ability to work straight into the sun without flare. Auto verses manual, you choose were the focus point is not the camera, though nice to have the option. I'm looking to get this lens. People rarely understand this focal length. 60'ish lens is more of a precision tool (copy work, etc), which brings to my question - any info on distortion?? Extremely low distortion from lens itself. 65mm just means that at a given distance, the lens will give you a certain crop/image size, which would be more magnified than 50mm. The further you stand, the less distortion due to perspective. 65mm allows you to stand further than 50mm while retaining same crop. I don't know how well this lens will sell because of the short FL and limited magnification. Ironically they discontinued the 90, 125 & 180mm Apo Lanthars a few years back, and now the demand for them is strong enough to send the prices sky-high, at least for the longer two. Hint to Cosina : All you need to do to create some good business is re-issue the 125mm and 180mm Apo Lanthars. Just do it - relaunch a fixed production run of the same lenses unchanged in any way. There is nothing currently available from anyone that exactly fills their niche. Is it possible that, as part of their manufacturing deal with Carl Zeiss, they can't or won't reissue the Apo-Lanthar 125/2.5 so as not to compete with the Apo-Sonnar 135/2 that they're also manufacturing? - Macro will be great. I guess the next question is how it is outside the range and making use of that fast aperture – this sets the macros apart. Hopefully next will come the remake of the 125 APO Lanthar going 1:1. 65mm is too short for my close-up subjects. Still, 65mm on APSC camera will be right smack where the usual 90mm macros are in terms of focal length. Incredible sharpness. Rendering is pleasing and filmlike. Looks like this is a precision instrument. I made fun of the size of this think, but you know what, I'm a changed man. That's not nothing for a dentist. Sounds like a modern re-make of the old 60mm macros from Mamiya/Sekor, Yashinon, and Tomioka -- except they were f/2.8 and went to 1:1. Note sure this lens made the right choice on that tradeoff. The old 60mm usually run about 1/3 the price of this new, so the price isn't too bad for this. I've love to see this thing on bellows or extension tubes beyond 1:1. It appears to have chromatic stuff under really good control. "It's too big", "A little pricey", "My manual focus days are over", "Voigtländer can't compare to Zeiss"
You're welcome, now you don't have to. I know you are being sarcastic, but Cosina both owns Voigtlander brand and makes lenses for Zeiss, including the Otuses. You do not need electronic contacts for focus peaking and/or magnification, it works perfectly fine on my old MF lenses on "dumb" adapters. Yes, but with electronic contacts you have more options, like auto magnification when start focusing. That, and it keeps the lens wide open for focusing, which keeps amp noise down and frame rates up. @shigzeo sadly that is not the case. The lens doesn't have an electronic aperture. Same with the loxia lenses. They all focus stopped down, which is a real shame. I am sorry to hear this. Seems strange, though Voigtlander don't make EF lenses, either, perhaps for the same reason. @shigzeo: Sure they do, in the SL II line they have the Color-Skopar 20/3.5, Color-Skopar 28/2.8, Ultron 40/2, and Apo-Lanthar 90/3.5 in Canon EF mount -- and as far as I can tell, with electronically controlled apertures. Edit: Though they may be discontinued by now, but the point stands that Cosina Voigtlander is capable of making lenses with electronic aperture. @panther fan: "They all focus stopped down, which is a real shame." disagree, focusing stopped down gives you real-time dof preview, and it prevents focus shift, which can be a real problem. Thank you for that update. It appears that they are discontinued or just no longer available in Japan. I'd love to get ahold of the 58 in EF mount, which I previously owned for Nikon. Based on the fact this is an F2 lens, with 300 degrees of range, I'm thinking that the normal focusing range is likely to be excellent. Looking forward to a full review. The OOF imaging looks free from any significant LoCA.